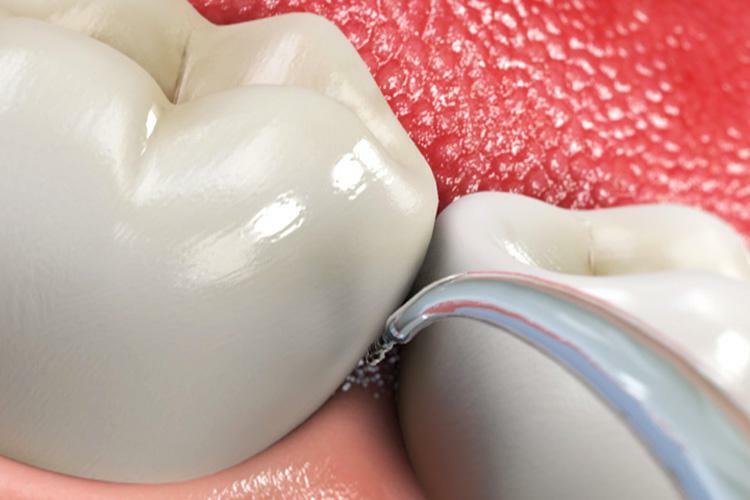 When plaque—that sticky, colorless film of food and bacteria—remains on your teeth, it can progress to forming deep gum pockets. Deep gum pockets are one sign of periodontal disease. The gums begin to recede and you may have lost bone around your teeth. Regular brushing and flossing are not enough to effectively remove plaque from your teeth. Instead, it takes special tools and techniques to keep your teeth clean. Here is why. In a healthy mouth, the space between your teeth and gums, called the sulcus, is about 2 to 3 millimeters deep, and your toothbrush and floss can effectively reach these areas. 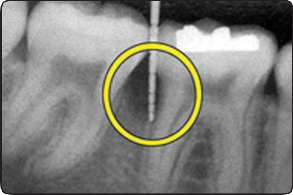 However, with periodontal disease, the sulcus deepens and forms a pocket that is more than 3 millimeters. Regular cleaning tools just cannot clean that deeply. Also, in a healthy mouth, the bone level is high and the gums attach at the necks of the teeth. The exposed tooth surface is smooth; the floss can make full contact with the area to keep it thoroughly clean. However, periodontal disease causes the bone levels to fall and the tooth attachments to recede. This exposes the root surfaces, which have indentions. Floss stretches across these indentions; it cannot remove the plaque that has formed in them. 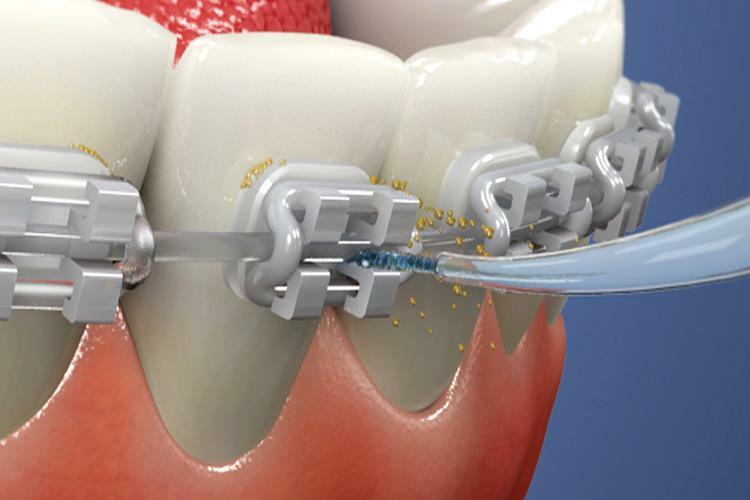 Special tools are necessary to reach below 3 millimeters and to thoroughly clean the gum pockets and root indentions. Each tool is useful in different areas of your mouth. 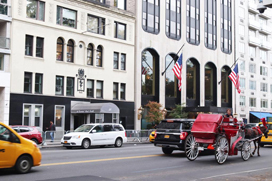 We will be happy to recommend the right tools for your situation. We will also show you how to use these tools effectively to keep your teeth and gums healthy. People who floss every day are taking a significant step in keeping their teeth clean and healthy. Periodontal disease and many cavities start between the teeth where the bristles of your toothbrush simply cannot reach. That is why flossing is necessary for removing the plaque and bacteria that cause these dental diseases. Pull out about 18 inches of floss and wind it around the middle fingers of each hand, leaving about a 5-inch span of floss between your fingers. Pinch the floss between your thumbs and index fingers, leaving about 1 inch to work with. Using a gentle side-to-side motion, gently guide the floss between the teeth. 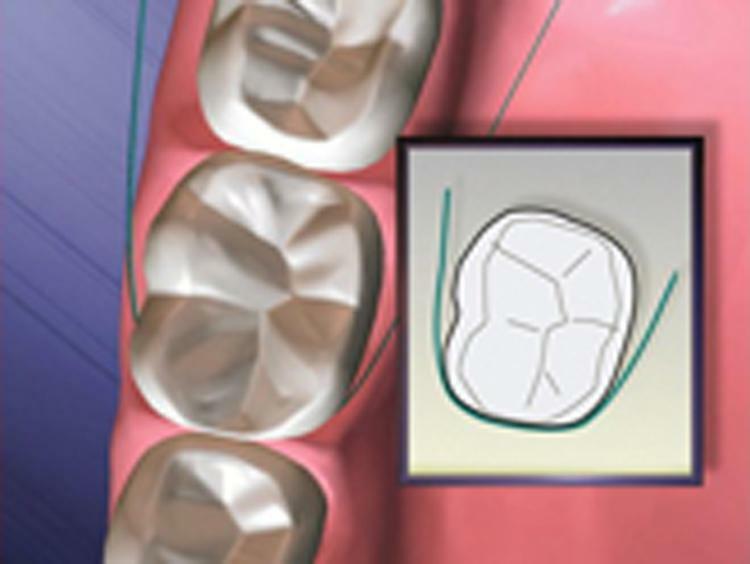 Pull the floss tightly in a C-shape around the side of the tooth and slide the floss under the gumline. Move the floss up and down several times to remove all the food and bacteria. Then pull the floss around the neighboring tooth and repeat the process. Wind the floss to a fresh section and gradually work your way around your mouth. Make sure to floss on both sides of every tooth. If your gums are infected, they will bleed when you floss. That is to be expected if you are just beginning to floss. After a week or so of regular flossing, the bleeding should stop. If you have problems reaching some areas, you may want to use a floss fork, a floss pick, or other flossing aids. Tell us if your teeth are too tight to floss or if the floss catches or tears. This indicates that there may be problems in your mouth that need to be fixed. Cleaning your teeth and gums with an oral irrigator can be a great idea for several reasons. Many people use the powered stream of water to help remove bacteria that cause tooth decay and gum disease. Others use an oral irrigator because it makes it easier to clean around braces, bridgework and implants. 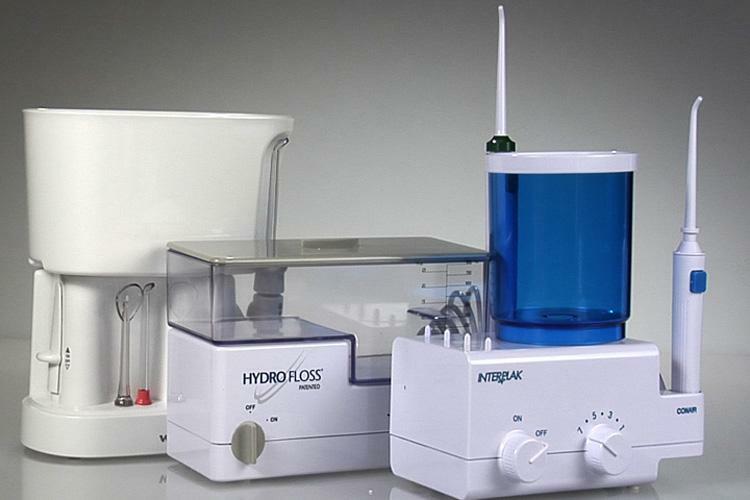 Some use an oral irrigator to help control periodontal disease. No matter why you choose an oral irrigator, you will get the best results when you correctly use it. Begin by filling the reservoir with lukewarm tap water according to the manufacturer’s directions. Depending on your situation, we may recommend that you use saline (salt mixed with water), an antiseptic mouthwash, or a medicated solution instead of water. Choose the best tip for your oral condition. 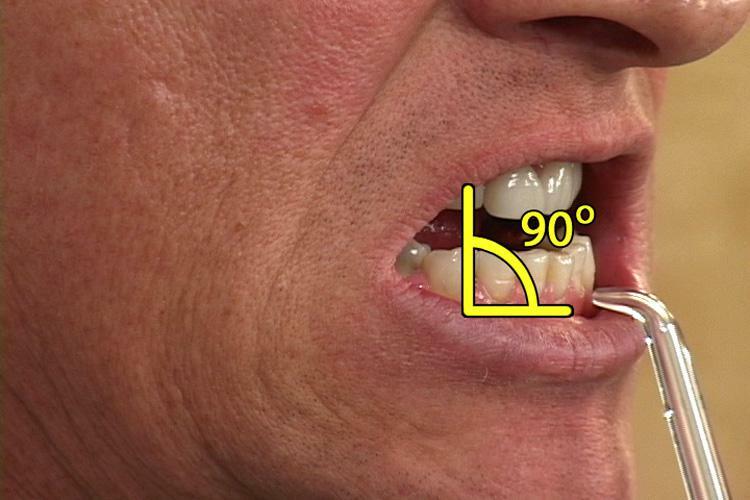 If you are using a regular tip, place it at a 90-degree angle to the gumline, almost touching the tooth. If you are using a tip that is designed for rinsing below the gumline, place it against the tooth at a 45-degree angle, and gently move the tip into the tiny groove between the tooth and gum. Set the pressure to the lowest setting and turn on the irrigator. Close your lips slightly, allowing the liquid to flow out of your mouth. Move the tip along the gumline, pausing for a few seconds at the spaces between the teeth. If you are rinsing below the gumline, make sure to reach into each gum groove as you go. Irrigate around all the teeth, especially the back teeth. Ask us if you have any questions about choosing or using an oral irrigator. We are happy to offer tips for keeping your teeth and gums clean and healthy.